For over thirty years Graham Gage has faced down enemies both near and far. It has been decades since private investigator Graham Gage worked the neon streets and shadowed alleys of San Francisco's Chinatown. Now the death of a troubled teenager during a multimillion-dollar microchip robbery brings him back to this threshold into the violent underworld of Asian organized crime. With the FBI straightjacketed and his own body wracked by a life-threatening illness, Gage heads to Hong Kong, Shanghai and Bangkok to untangle a brilliantly orchestrated and fast-moving conspiracy. 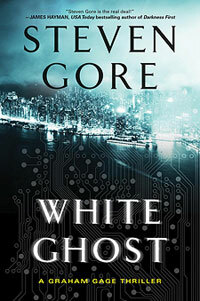 The uniqueness of the crime requires Gage to recruit an equally unique group of collaborators—a corrupt PLA general, a retired Taiwanese intelligence agent, a Thai-Chinese gangster, and a former Golden Triangle drug trafficker—at least two of whom are treacherous enough to betray the rest and exploit Gage's means for their own ends. The route toward justice soon becomes more twisting and perilous than anything Gage has ever faced, for the mastermind has insulated himself not merely by front companies and intermediaries, but by a willingness to murder even those closest to him. It therefore won't be possible for Gage to simply follow a trail. He'll need to blaze one of his own. And the question that will remain until the very last isn't whether Gage has the skills to do it, but whether he has strength enough-and time.